Message: Spring has rejuvenated my soul this year. The darkness of winter that chilled my bones has been thawed out. The aroma of fresh cut grass, the warmth of the sun, the taste of sweetness in the air … it has all combined to swallow up the winter doldrums that cloaked me through the holidays. My seasonal depression may have felt rough, yet it does not hold a candle to the despair and mourning of Christians on the first Easter. Can you imagine the disciples’ pain? Peter denied. Judas betrayed. James, John, and Peter fell asleep when they should have been praying. The rest of them scattered. All to see their beloved teacher captured, tortured, and crucified. The guilt might crush me! 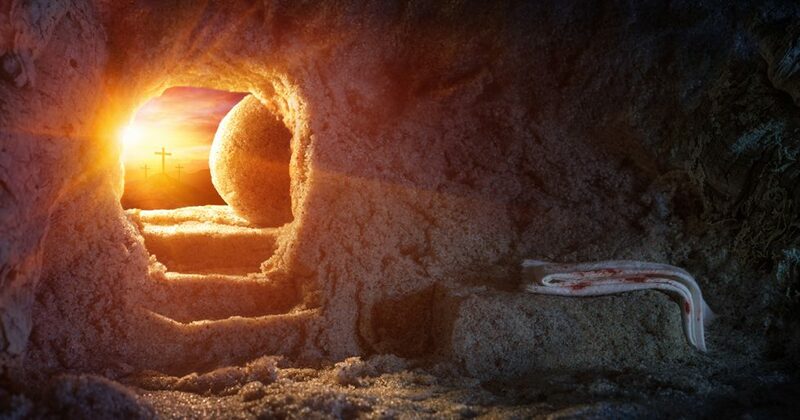 What do you think the disciples did on Saturday, knowing Jesus was gone? Even more, with the weight of their depression crushing their spirits, imagine the sheer shock, excitement, and exhilaration upon seeing the open grave on Sunday! To see their Savior again, to experience a few more pep talks, to fully believe—it must have been magical! The beauty of Easter can be transformed into your classroom. It is time for a resurrection of the Christian teacher! Finish the school year strong. Make a lasting impression on your students that they will remember. These are just a few ideas to toss around. Take your class outside. I remember my high school chemistry teacher did that a ton in the spring, and we all loved him for it. Write personalized notes to your students. I have over 100 students and started writing them two weeks ago. Praise God I only have four left! Fill them with fun memories, encouragement, challenges, and advice. Make each letter unique to the child. Begin snapping pictures of your kids and put those images and videos into a movie for them to watch the last week of school. I love getting material from the rest of my team so the kids get their FULL 7th grade experience. Have fun! Laugh with your kids. Lighten up a little. Maybe try a new game you have been wanting to take a stab at. I might try a new escape room! What I have discovered through the years is that when I get grumpy and try to crack the whip, anarchy ensues. Don’t be afraid to laugh! Have the students write notes of encouragement to each other. Teach them what a good thank you note looks like by modeling one for them. Then watch the smiles as they pass their notes around and read them. Never miss an opportunity to teach character. Check out the “Character Lessons” tab at the top of my blog and go crazy! Tons of videos to pick from. What I have realized is that sometimes a personal story of a lesson learned in my life can be equally effective. Never stop mentoring. One-on-one conversations are needed for students to navigate life. My mentee has needed a LOT of attention lately, as I have spent eight of the last ten lunches with him. Every second is worth it. He may not remember what a simile is, but he will remember our time together. Take a field trip if you have left over money. Or if you are moneyless, just taking your class to a different setting on campus might provide inspiration. For example, my Language Arts class might go to the football field to write a poem about nature. Have your students share wisdom with next year’s students by writing them letters on how to succeed. They always feel important when you ask them to write their expertise. Even your lowest of the low can learn from their mistakes to pass on cherished wisdom. Not sure if any of these fit your students’ needs, but it is a start! What I would love to see is a plethora of different ideas from all my followers to spread the wealth. Don’t by shy. Reply below! It is not time to survive the last weeks of school; it is time to thrive! Resurrect your classroom so your students will know you care. Take time to make a difference. Challenge: How do you end the school year in a special way? Share your idea by replying to this blog. I especially want to hear from you if you teach a different level than middle school. I know my middle level activities don’t fit all grade levels, so having those extra suggestions on how to end the year with a bang would certainly be useful for all. Video application: I found this video from Kantis Simmons very inspirational and perfect for high school and college students to watch. I even found truth that I could apply to my own life! Quiet time: For my own quiet time this week, I want to study the last week of Jesus’ life by reading the different versions of all four gospels. I would like to make a timetable of His life from Palm Sunday through Easter weekend. How did He intentionalize all His moments? How did He use the circumstances surrounding Him for God’s glory? I look forward to discovering that, and I challenge you to do the same. Prayer: Lord, resurrect my soul this week of Easter. May the story of our Savior rejuvenate me in the classroom and provide hope to my students. Amen. Thanks Clint, for another inspiring post! Those are some fantastic ideas to spark new life in our classrooms! And I also like the quiet time idea entering into a Holy Week. Your kids are so blessed to have you in their lives.